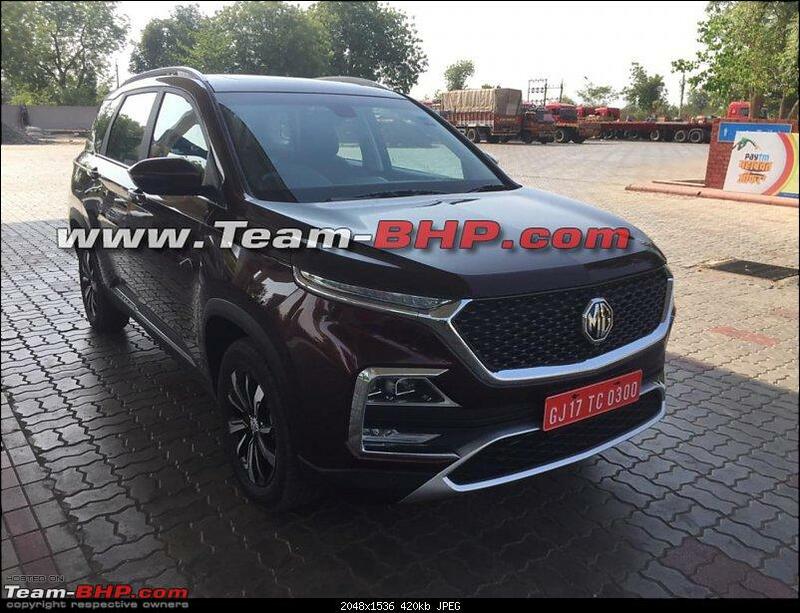 The launch of the MG Hector SUV is clearly amongst the most anticipated ones for the year 2019. It will make the arrival of the iconic British carmaker in India. Though a little late to the party, MG is making sure that there maiden offering comes with a bang. The Hector is going to offer a plathora of ‘Smart Car’ features. These will be offered through connected car technology. Other USP of this vehicle is going to be its sheer size. Despite falling in the ‘mid-size’ SUV segment in terms of its prices, the Hector will match the likes of Honda CR-V in terms of its dimensions. On the outside, this SUV is going to get a lot of bling. There is subtancial amount of chrome on offer. It comes with LED daytime running lights on top. While the main headlamp unit sits below with the fog-lamps. This SUV does have a decent amount of cuts and creases to hide the bulk away. Despite that, atleast in images, this vehicle looks quite bulky. The rear profile does not get any major character lines. The tail-lamps appear to take inspiration from an Audi. On the inside, the MG Hector will offer a premium experience. Expect it to offer high-quality materials. Not only this, but there will be a significant amount of features and creature comforts onboard. One of the biggest highlights is going to be the vertical touchscreen infotainment system which will act as the brain for all the connected car system. The MG Hector is going to get petrol as well as diesel engine options under its hood. The petrol engine is likely to be a 1.5-litre unit. While the diesel engine is going to be a 2.0-litre motor. Transmission duties will be taken care of by a manual as well as an automatic option. 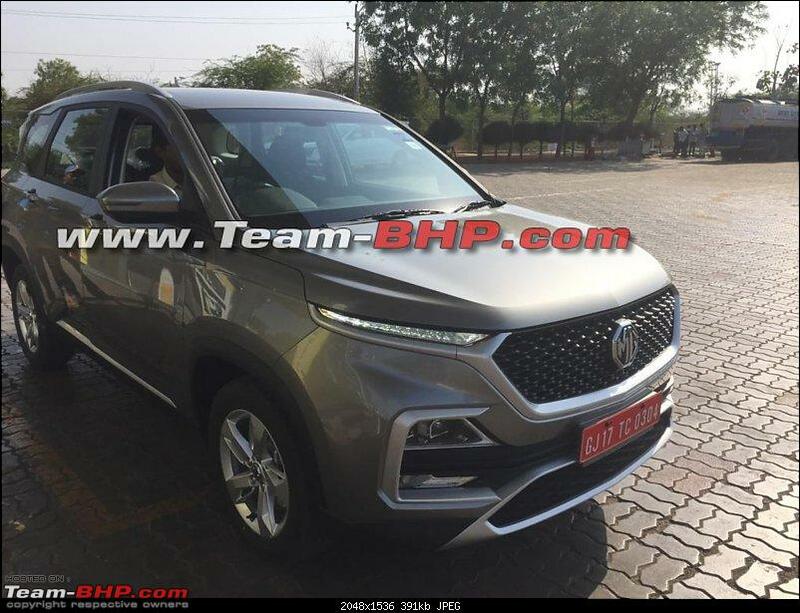 Prices for the MG Hector are expected to fall in-between the range of INR 12 lakh to INR 18 lakh. As a result of this, it will compete against the likes of Tata Harrier, Mahindra XUV500 and Jeep Compass.